Our house was built in about 1856 by Napolian Bonaparte Stone (1818 – 1883), a prominent banker and businessman in the pioneer history of Independence. There appears to be some controversy in the way he spelled his first name. Napolian Stone’s French namesake Napoleon Bonaparte was a young lieutenant of artillery when the French Revolution began in 1789. He worked his way through the ranks, becoming a general four years later at the age of 24. A string of victorous battles and a campaign in Egypt caused his popularity to soar, and by 1804 he was named Emperor. His military victories expanded the French Empire from Spain to Russia. When the Russian Czar withdrew from its alliance with France, Napoleon invaded, and was defeated, more by the Russian winter than by battle. Exiled to Elba in 1814, he escaped and returned to France the next year. He raised another army, but within a hundred days he was defeated once and for all at Waterloo. Napoleon passed away in exile on the lonely south Atlantic island of St. Helena in 1821. When Napolian Stone was born in 1818, Napoleon Bonaparte was still alive. Americans at that time were generally amicable toward France, a vital ally from the American Revolution, and they admired the self proclaimed Emperor who once controlled most of Europe. It is not surprising that Stone’s parents named him after this impressive figure. A legal document from 1857. Why Was it Spelled Napolian? So why would we believe that the proper spelling of his name was Napolian? The proof is carved in granite. The Stone family plot in Woodlawn Cemetery (less than half a mile from our inn) contains a grand monument fifteen feet high with a statue of a young lady (an angel?). I believe it is the most beautiful marker in the entire cemetery. The monument has panels that mark the life of Mr. and Mrs. Stone and list several of their children who died in childhood. There is also a panel that commemorates Samuel M. Parker (more about him in a later blog). 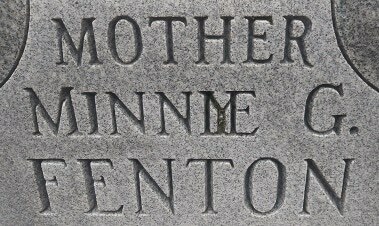 Stone’s first name on the monument is spelled with –ian. Not once, but in two places. Of all the places where a person’s name is written, it should be spelled the desired way here. A man would make sure his name was spelled correctly on his tombstone!  Was the –ian spelling the result of a stone carver’s mistake? Not likely. 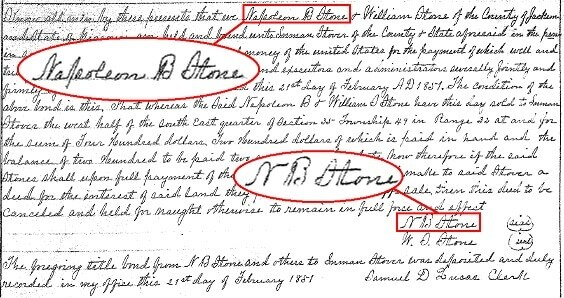 If Mr. Stone objected to the spelling of his name, there were several options to make a correction. The error could be ground down and carved again. Or a mixture of cement and granite dust could be used to fill the error. Or the entire panel could be redone. A stonecutter's mistake. "Minny" corrected to "Minnie." Why Spell it That Way? We will probably never know why Napolian Stone spelled his name in such a non-standard way. Perhaps that is the way his parents taught him to spell the name. Or he preferred an alternate spelling to set him apart from his namesake. As you can probably discern, most of this blog is our best-informed speculation about Napolian Stone. Currently (December 2017), we do not have much definitive information to go on. We don’t even have a photograph of Napolian or any of his family. If you have any information, please share it with us.